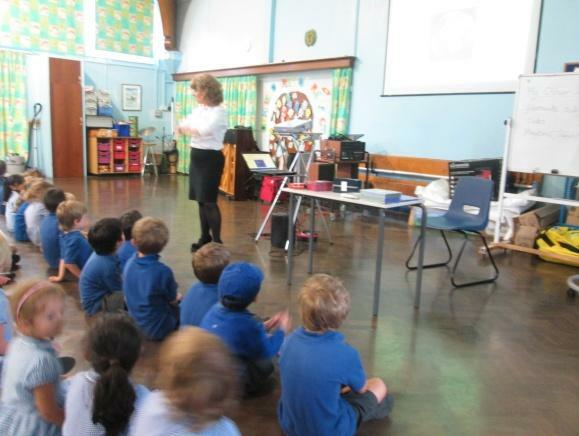 On Tuesday 2nd July, we were lucky to have Avril from FACT (Faith Awareness in Children’s Trust) to spend the day with us with the focus ‘What Makes Our World Wonderful’. We gathered in the hall to learn a lovely song ‘Thank you for the trees’ which got us thinking about things we have in our world which we should remember are a wonder e.g. trees, birds and flowers. We read a story called ‘Lorna Look-A-Lot’ which was about a lady who looked at everything with her children through a magnifying glass to see how great things are. 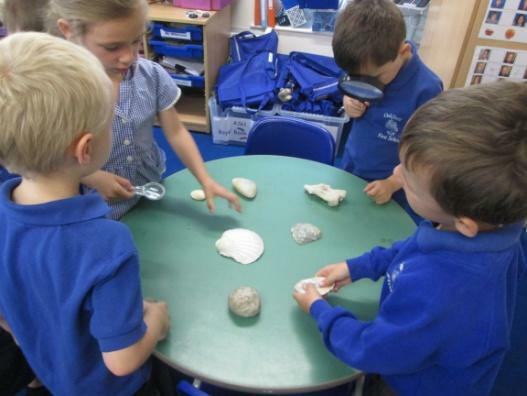 We had some magnifying glasses out with some natural objects for the children to explore. 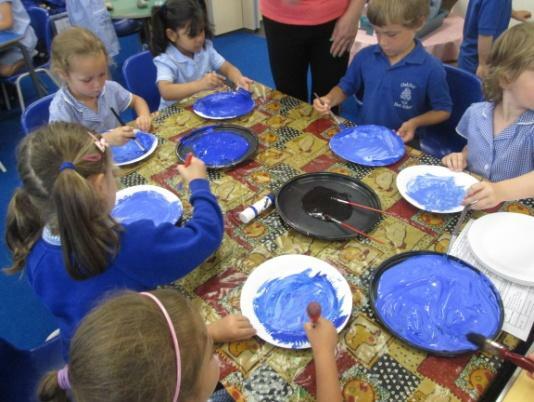 As part of FACT day, we do a lot of creative activities to help with our understanding of the theme. 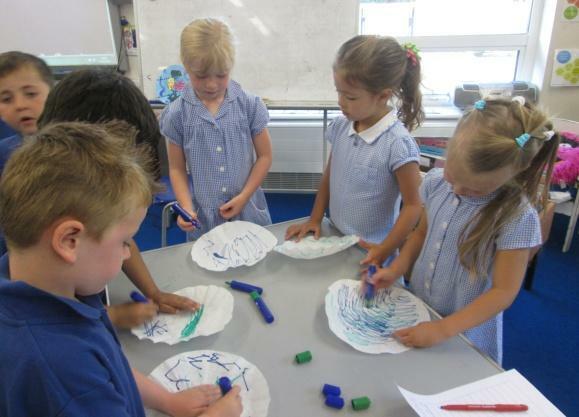 Firstly we had a go at making our very own world using a coffee filter and some felt tip pens. After drawing on the filter, water was sprayed on the filter to make the colours spread to look like the world! 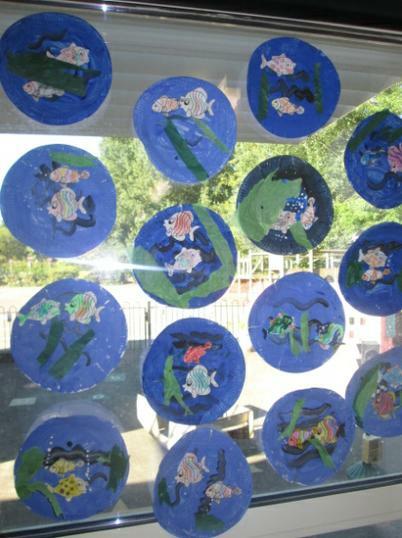 We made some seascape pictures which linked nicely to our water theme. 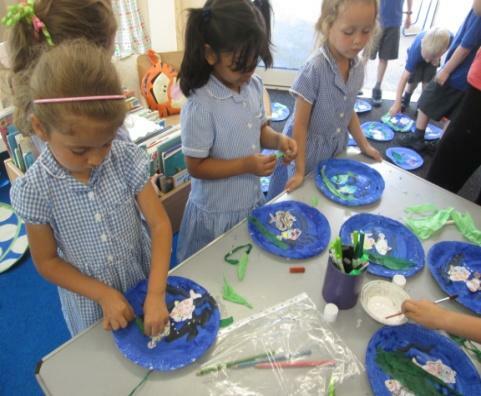 We painted a plate and decorated with fish and seaweed. They look lovely on display! 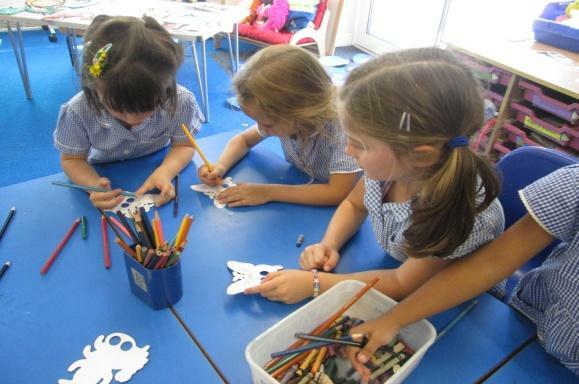 We also decorated a flower or butterfly with lovely stickers to emphasis the important job that insects have. This was a bit of revision from when we looked at minibeasts. 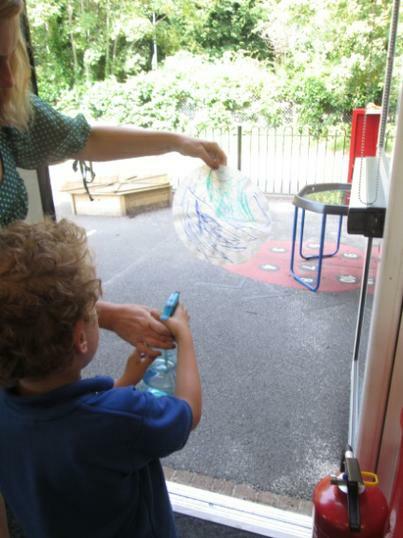 After lunch we read a story called ‘Michael Recycle’ which was a story showing the importance of looking after our world and making sure it is kept nice. 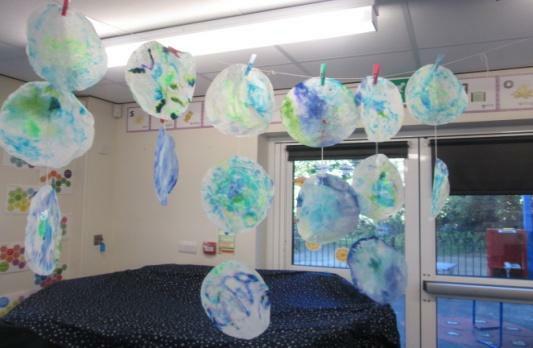 We made some puppets using recycled paper and decorate it. We had fun playing with these. 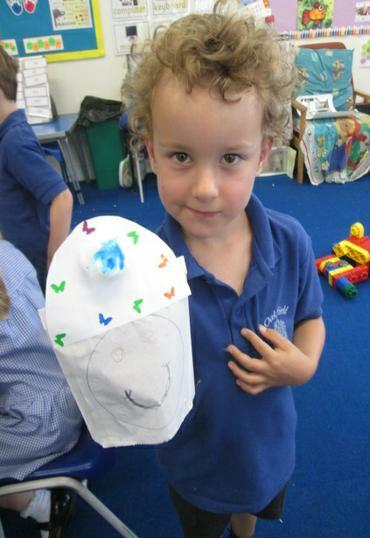 We also made some finger puppets and we had a choice from a variety of minibeasts. We gathered in the hall at the end of the day to reflect on our day and to remember to look after what we have around us as we are very fortunate to have lovely things. 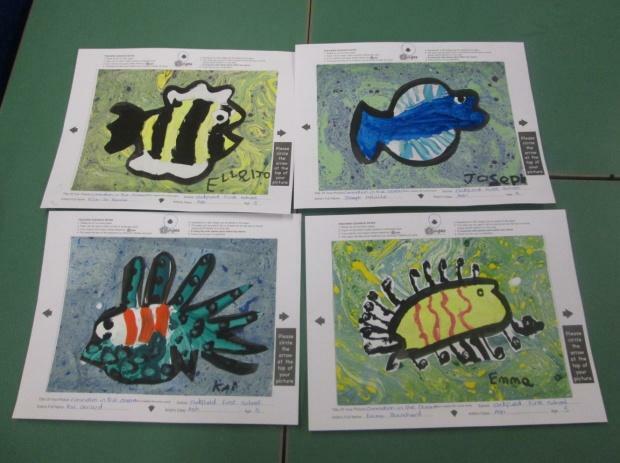 Also this week we finished our art pieces for the exhibition on July 11th. 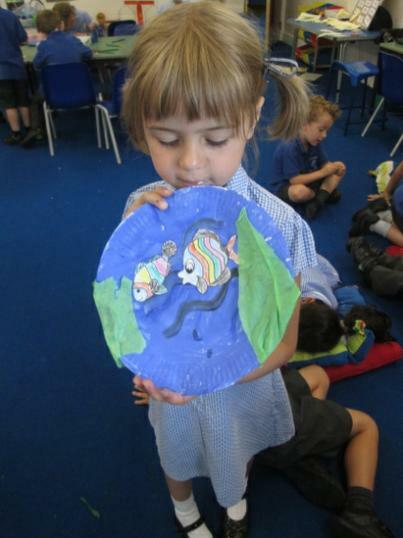 The children have produced some amazing pieces of art and they are really proud of their pictures. Featured are just a select few of the wonderful paintings you will see at the Open School afternoon.